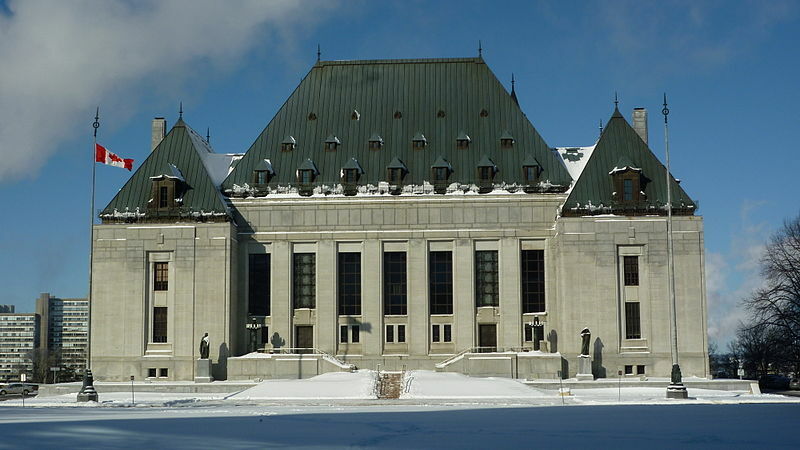 The Supreme Court of Canada has released a copy of the Lordon Report to The New Wark Times and Sackville’s lawyer has abandoned claims that the report is confidential and cannot be published. The 55-page report is in Supreme Court files as part of a case in which Louis Béliveau sought to appeal his dismissal from the Sackville Heritage Board. The case has now been withdrawn after Béliveau and the town reached a settlement earlier this month. After obtaining advice from a lawyer who specializes in media law, I’ve decided to publish the Lordon Report as released by the Supreme Court. The $47,000 report describes what went on behind closed doors as the Heritage Board, the mayor, town councillors and municipal staff dealt with issues arising from the many controversies around demolition of the Sackville United Church in September 2015. 3. The Lordon Report has much to say about a proposed plan to salvage artifacts from the church before demolition. John Lafford agreed to such a plan in a letter dated December 30, 2014. (To read that letter, click here.) Lordon clearly sympathizes with board members who wanted such a plan, adding that the heritage bylaw required one. Her account of the March 17, 2015 meeting of the Heritage Board begins near the bottom of page 130, stretching on for five pages and recounting how David Stewart — one of three new board members appointed on March 9, 2015, just a few days before the meeting — moved a motion to issue a demolition permit with no salvage plan. Councillor Ron Corbett chaired the meeting, but could not control it. Chaos ensued, and afterward no one knew for sure what had happened. (Lordon herself tried to piece things together with the help of an audio recording.) On March 19, 2015, Heritage Officer Kate Bredin signed a demolition permit with salvage conditions attached. On April 20, without telling other board members, Chair Ron Corbett issued a revised permit with no conditions, backdating it to March 19. This set the stage for a conflagration on April 21, 2015 when the Heritage Board next met and hostilities erupted. (See pages 135-141) Board member Louis Béliveau ordered town manager Jamie Burke to leave; Burke took other municipal staff with him, including Kate Bredin, and after that, CAO Phil Handrahan ordered staff not to attend Heritage Board meetings — a situation that lasted for the next four months. To read the complete Lordon Report, click here. This entry was posted in Sackville United Church, Town of Sackville and tagged George Cooper, Kathleen Lordon, Lordon Report, Louis Béliveau, Supreme Court of Canada. Bookmark the permalink. Many thanks to the New Wark Times for this article. It is like a sunshine of truth. In a comment to an earlier article entitled “Town finally settles with Louis Béliveau avoiding possible Supreme Court fight”, I wrote the following: “…Thus, according to me, for the sake of HEALING AND PERHAPS REPAIR, the Town of Sackville owes Louis Béliveau PUBLIC APOLOGIES for its “misconduct”. I will add now: It is not only Louis Béliveau who deserves apologies but also ALL the Heritage board members for their devoted time AND courage in pointing to problems in order to try to fix them. The false permit or, the following not top secret report, may be ridiculously trivial, when we think of the world’s more critical problems such as imminent risks of war, for instance… However, if we stop for a second to reflect, this whole story is not that different from the world’s bigger problems: It is also about a very basic value in human relationships called respect. Genuine respect would have perhaps avoided this costly legal battle (in terms of time, energy, money, and stress) BUT… the good news here is that it is never too late for (more) respect. It is what makes us better human beings day after day. Yes, mutual respect is the foundation of peace, love, and progress in life. So why don’t we ALL renew together this forgotten yet badly needed value? Kudos to Bruce Wark for making this happen – to bring this report to the people, for all to read. Good Job !! Great reporting Bruce; you’re showing people how it’s done! Am I the only one left wondering why the Town tried so hard to hide this report? If I recall well, I think you have raised a good one too in the past (earlier article): How much has this legal saga cost our town’s tax payers (not just the report per se)?